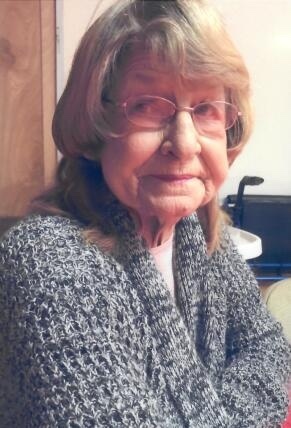 Barbara Ann Vaughn, 71, of Clinton, passed away on Wednesday, January 24, 2018. She is survived by her sons; Kenny (Sheri) Medlin, and James (Melody) Medlin, her daughter Stacey (Greg) Gallegos, her sister Shirley Waters, her grandchildren; Kristen (Darcey) Knickmeier, Samantha (Austin) Hughes, Megan (Jerome) Knickmeier, Brittany (Andy) Wilbanks, Jeremy Poole and Dakota Medlin and her eight great-grandchildren. She was preceded in death by her husband Henry "Bo" Vaughn, her son Jeffrey Dean Bledsoe, her twin sister Mary Ann "Roonie" Leopard, her brother Gerard Bledsoe and her parents Clyde and Mary Bledsoe. Stacey & Greg and Jamie & Melody, along with all the grandkids and great-grandkids would like to thank everyone for all the prayers and kind words. Our mama was so loved and so very special and will be sorely missed. A memorial service will be held on Saturday, January 27, 2018 at 11am at Crossroads Christian Fellowship. To send flowers to the family of Barbara Vaughn (Bledsoe), please visit our Heartfelt Sympathies Store.